I have wanted to post an update the past couple days … but every time I sit down to start, something comes up… and I just compile a list to add to my post! This past week has been the craziest for us all!! I’ve been finishing finals and ending this semester of school for me… all while worried every minute about Kaylie. Last week was such a hard week for her. Headaches were daily, so bad that on Friday the school called saying she was crying that her head hurt, we ended up picking her up early. She had several nighttime accidents… to the point I ended up buying “GoodNights Underpants” for her. I thought I was going to have such a bad time talking her into wearing them… but she was so willing! I think because she is just tired waking up wet, and a little confused to why her body is doing that… when it never use to. Also she dealt with some “bully” issues again. I am not going to go into details about that on this blog… due to the people that read this blog. BUT, I can and will say… I am so glad my kids don’t act like that to other children…. I would be ashamed of them! But…. I guess its bad parenting if you cant teach your child to be kind to others! I am so HAPPY, for Kaylie’s teacher. She is absolutely amazing!!! I hope she reads this, and knows how special she is to us. And how we are so proud of having a teacher to put a stop and take care of issues like that! Over the weekend there were two stories that brought such fear to me. They were from my Facebook chiari groups I belong to. 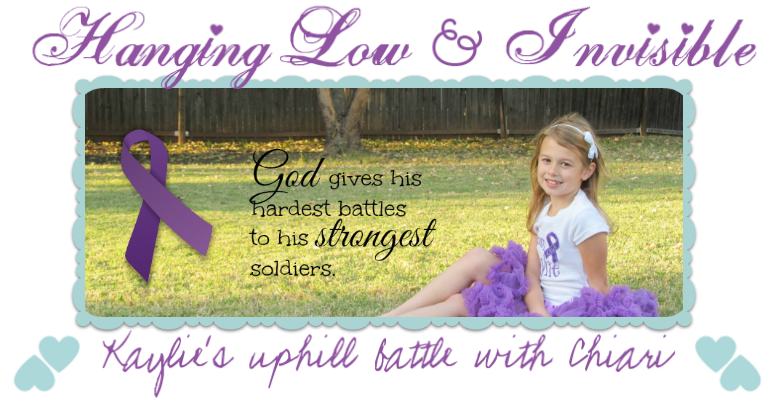 One story is about a mom that has chiari, and is fighting for her life. She has had complications due to the decompression surgery. The last time I checked the posts, she was still on ventilators. The second story… really scares me. It is about a little boy named Bryce, 6 yrs old, who past away about two weeks ago. I have talked to his dad through messages, about his son. Their family is one of the strongest families I have ever met (online wise)… they are trying so hard to get the word out about Chiari, and how serious this illness is. I had asked if I could share his story on my blog… and so that I get the details right… I’m just going to copy and paste his post from my group, then some of his conversation with me through messaging. I talked to the King County ME today and he hasn't finished the full report, but he said that Bryce's brain stem/medulla was compressed causing a contusion due to a hyper flexion/hyperextension of his neck. He said his Chiari caused too much crowding for his brain & spinal cord. So he is ruling that the Chiari was a significant factor in his death. So he has now confirmed what we had all figured out from the MRI...Chiari was responsible for his death. What should have been nothing to a normal child was a death sentence for Bryce. So if you have a neurosurgeon tell you Chiari doesn't really cause any problems I can send him the ME's report. I wish we had known about this early, hopefully they can figure out a way to screen for this in the future so that it won't be missed in the future....we miss you little buddy. After a lot of posts from many thoughtful parents, and even I asking about Bryce, I decided to message him, because earlier he had said he is willing to answer all questions. I told him I wanted to know Bryce’s story. Sorry didn't see your message, it put it into the other box. I don't mind answering questions about things. If it helps we are willing to do anything. We live in Bozeman, MT. Bryce was 6 years old and he was perfectly healthy child...or so we thought. He went outside to play on Sunday morning and I was woken up by my middle son yelling at me that Bryce wasn't breathing and that Mom needed my help. I ended up doing CPR on him and he was taken to the local ER in Bozeman. He had fallen out of a toy wagon and stopped breathing and had no pulse. They were unsure what had happened, as he showed no signs of a head injury. It was quickly determined that he needed to be sent to pediatric ICU, and he was transferred to Billings. Once there they had no idea what had happened to him either. They were at a loss and later that night he started to have seizures. So the neurologists decided to do an MRI. Once they saw the MRI they made the diagnosis of a Chiari malformation. They decided he then needed to be shipped to Seattle. Once there he fought for his life for 5 days before losing his battle. We donated his organs and he hopefully the recipients have now had a second chance at life thanks to his gift. He also has alerted us to possible issues with the other children. They all seem to have Chiari based off the MRIs, but now we just need to confirm that with a neurosurgeon. They are not nearly as bad as Bryce's. Chiari. The neurosurgeon in Spokane said that it was the worst one he had seen. He kept telling us he would have done surgery on him if we had brought him in. We kept telling him why would we have brought him in...he had no symptoms that would lead anybody to a diagnosis of Chiari. He had numbness once and only one really bad headache. Those symptoms were not bad enough to even really warrant a trip to the doc. We did mention them to his pedtrician, but they did not think it was a problem and neither did we. After what happened I pushed my doctor to order MRIs for all of them. She wasn't going to order them for all of them seeing as she didn't see any warning signs in them. I kind of guilted her into them. A few of them she had agreed to and the rest I said I wouldn't sleep well until they were cleared or not as Bryce never showed any signs till he died. It might give you some peace of mind, but I know they are not cheap. We aren't worrying about that right now, we hit the deductible already so we if we are going to do it this is the year. What I thought was the second worst MRI is actually the worst...go figure. Let me know if I can be any help in the future. Every time I read this… I tear up. Of course for the fear I have for Kaylie, and my other two children…. 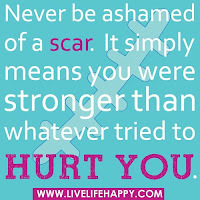 But because I am so amazed at how strong a person can be, and how strong one can share their story, to help others. From reading through the rest of the posts… Ian has sent an email to Duke University. Duke is currently doing a study on genetics of chiari. Chiari seems to be very hereditary. Most people I have talked to, that have more than one child… have several children with chiari, or/and one of the parents are. Of course I think of Abby & Mason. After we get Kaylie settled somewhat in the medical care she needs now, we plan to have MRIs done on the other two. I will probably talk to their pediatrician about all that soon… just to let her know how we feel. On a more uplifting note, Tulsa, Oklahoma has a Chiari support chapter!!! They are still small and getting started… but there is one… and that’s what counts!!! 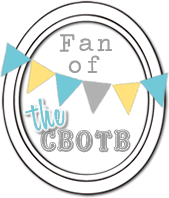 They are the ones that are helping Conquer Chiari put on the walk in Tulsa that I had posted about. 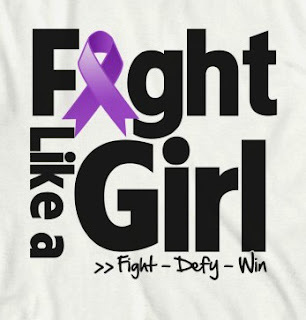 One of the head ladies of the chapter contacted me by email today, giving me info on Oklahoma FB Chiari groups, and some of the neurosurgeons they have used. It’s nice to know that we are not alone in this great state of ours! Other than that… which was a lot, that is about it, for now. I found this awesome photo the other day…. It represents how strong I am going to be for Kaylie, and how strong she is! Love to you all...for all the support! OH!!! How could I forget... today was a "GOOD" day for Kay... she woke up with no accidents, and not once did she complain about anything hurting!! She is such a trooper!